Everything as a service is saving you time and money. Desktop as a service is a new milestone that saves you money. You don’t need to change your old laptop to have higher performance. Back in the day, you would buy a computer, and very fast it would become obsolete. Most of its components could not be upgraded and you needed to call that friend that knew computers and install Windows for you. Unless you were the nerd and installed Windows yourself for you and all your friends, who then got viruses from visiting obscure websites and you’ve probably stopped answering their calls. But I digress. In a world where digitalization is happening extremely fast, cloud storage and then cloud computing were bound to happen. Let’s begin with the company level, because companies are the first to try and cut down costs. Then at a consumer level. 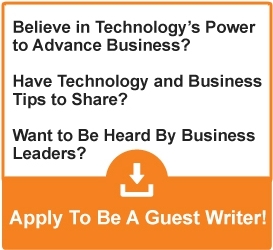 Even this article I am writing, I am writing it directly to a cloud. Virtual Desktop Infrastructure technology (VDI), has been around for many years and increasingly growing in the market. Instead of worrying about buying and maintaining hardware, installing operating systems, and taking care of the storage of data so you won’t lose it, everything is on a cloud and your tech team handles only the rest of the software part, like your company’s software. Not wasting time on other technical issues, your tech team can be slimmer and more focused on the company problems rather that changing a failed CPU or trying to recover data from a Hard Drive. Most companies have moved at least part of their data to the cloud and an increasing, but still low percentage of them are using VDI services. They now employ a different type of IT department, requiring other skills than before. Their data is safe on a cloud, taken care of in terms of security, accessible everywhere and the whole process is cheaper for the company. Now Virtual Desktop Infrastructure (VDI) have found a way of reaching to more companies and soon the individual through a different technology called Desktop as a Service (DaaS). While in a VDI your IT team controls the installation of other software and maintenance, including part of security, with Desktop as a Service, you don’t worry about the technical part. Your service provider also provides the software you require, and you pay a monthly fee. You don’t worry about licensing, and you need an even slimmer IT team, soon to become no IT team for smaller businesses. Alongside it’s clear to see advantages. DaaS faces some challenges that VDI does not. But it’s slowly eating through them. For example, one of the bigger ones in terms of cost is that with DaaS you still need to secure your own licenses, for Windows for example, or other software. The cost for these licenses is not covered by your monthly fee. Yet. Using DaaS you also need a very strong internet connection, which in some countries may not be a problem, but in other countries, or in some parts of the country, it is. The very idea that we could reach a point when you just pay a subscription, and you could use most of the software you need, without ever worrying about computer price or licensing, is really a tempting one. But is there a bigger price to pay? The main challenge VDI and DaaS and other clouding services face is a trust issue. Although trust in cloud companies has increased with each month that passed in the past years, are you ready to have your entire company computer or even individual computer in a cloud? It is a question you have to answer yourself. With regards to this you can check the article on Blockchain technology and new ways of achieving trust. Link here. If you are a business cutting down on costs and your data is not sensitive, then yes. But most managers still don’t trust the cloud with all their data, only with parts of it, and when it comes to individuals, fear is a factor. It may not be a rational one, but most people act out of fear. Facebook and Google already have your chats, your pictures, your DATA. You trust them as you have no choice and probably do not read the ToS. Then why is it different to trust a clouding company to host your entire computer, if it’s cheaper? I think most people will pass on the offer, for now, but in time, as people get used to the idea, DaaS will soar. But what is that Xaas in your subtitle? 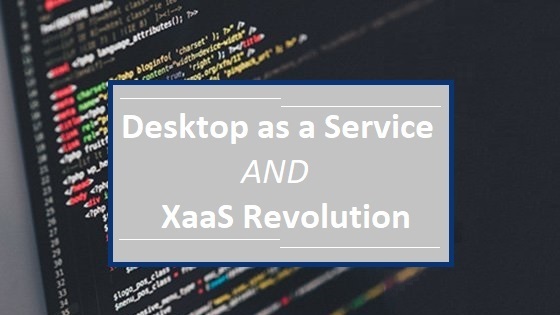 From the concepts of SaaS (software as a service) or IaaS (infrastructure as a service), and now DaaS, people coined the umbrella term XaaS, reading it “Everything as a service”. You can view Uber or Taxify as TaaS (transportation as a service), Netflix as CaaS (cinema as a service) and we even have NaaS, (Nanny as a service). Yes, check out Nanit. DaaS is a new milestone that will eventually save you money by not purchasing software, or new hardware. You pay a subscription. Just as you do with Netflix for movies or Spotify for Music. This looks cool. What’s the catch? With Xaas, you eventually own nothing. Everything is paid as a service, and you don’t own it. You don’t own your music now, like you used to when you had records, and you own your movies, you don’t own your data and now you won’t own your computer. A recent article I’ve read tackles this ongoing and growing issue. This is a perspective, but the other perspective is that most thing you owned just got devalued in time anyway, so you may be better offer saving money and invest it elsewhere. Maybe save it, buy a house, then make it tokens. But about tokens, in a future piece, as we are out of time. I like what Google is doing with Chrome books- light hardware and OS with the ability to use Google Apps for everything through a web browser.